Have a grand Memorial Day! Our grateful thanks to all those who have served and their families, and our gratitude to all the soldiers, airmen/women, marines, and sailors currently serving all over the world and at sea. When one is in uniform, people tend to see the uniform but not the individual. Let’s take a moment to give respect to ALL unsung heroes in uniform: coaches, teams, nurses, doctors, dentists, vets, food and restaurant workers, janitors, maintenance employees, retail service workers, gym instructors, landscape workers, bus and train drivers, police officers, and security personnel... just to name a few! 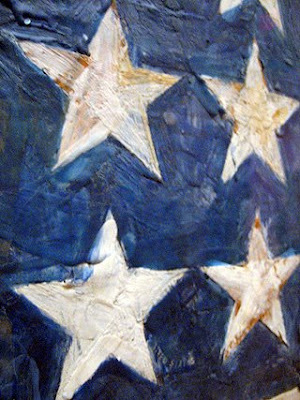 Visit Del Ray Artisans gallery in June to see how area artists chose to show their respect. Some artists expressed their point of view, depicted something funny or thought provoking, or honored a loved one. There will also be a small memorial section in the gallery where visitors can reflect, contemplate or remember. The exhibit runs June 3-26, 2016. Please join uthemfor the opening reception on Friday, June 3 from 7-9pm, and check Del Ray Artisans website calendar for other events scheduled throughout the month. The RESPECT exhibit is at Del Ray Artisans gallery in the Colasanto Center, 2704 Mount Vernon Avenue, Alexandria, Virginia 22301. Gallery hours are: Thursdays 12-6pm, First Thursdays (April-September) 12-9pm, Fridays 12-9pm, Saturdays 12-9pm, and Sundays 12-6pm. The gallery is free, open to the public and handicap accessible. For more information, please visit www.TheDelRayArtisans.org or contact the curator, Tracy Wilkerson, at RecycledWorks@yahoo.com.